**FREE** Gallons Of Redwood Stain! Through 7/4/18 head on over to The Home Depot and score one gallon containers of Behr Redwood Stain for FREE after rebate! This is currently priced at just $9.58 and the paint/stain rebate offers $10 back on a qualifying 1 gallon purchase or $40 back on a qualifying 5 gallon purchase, making it FREE! *Be sure to save your receipt and read the details of the rebate to ensure you are selecting a qualifying item! You can submit the form online for in store purchases, or print the rebate for in store and online purchases and mail it in. 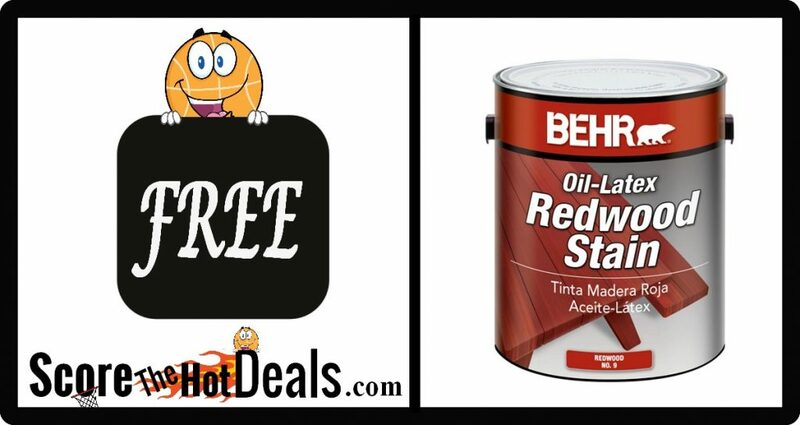 « *FREE* Behr All-In-One Wood Cleaner! !